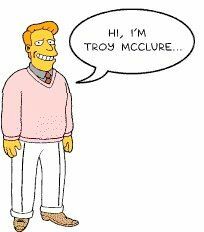 Troy Mcclure, a new record, 1100 fake posts in one day. Admin is this your dream team? I find this train wreck hard to look away from. How in the world do you count them? What software do you use to spam a forum like this? If he's happy with this, I have an idea to market something. Why pay when he begs for this? Lose a pound a day, every day. I personally lost 60 pounds in 60 days. My free 47 page PDF eBook explains how. CLICK HERE to read online, or download your free copy. I assume there are vBulletin bots that will rotate through text collections. The fake posts are the only posts keeping the forum alive. There hasn't been an interesting discussion happen on this forum for a long long time. The forum isn't going to make it, no way. We've lost members steadily just over this past year and we couldn't afford to lose them. The fake posts give this forum traffic but without regular members that will not last without destroying the forum. A list of reasons for why this forum has failed and these fake posts are just sealing the deal. Even back a few years when a pretty large group of disgruntled Scam.com members started their own free-forum it failed in a little over a year. Now you have realscam which was started by a disgruntled moderator from this forum and that forum too is going down hill not up. Check out the Political Chat forum. A long list of threads made by the member who has so so many screen names. he's been doing this same thing for years and it is not bring about any forum discussions. He keeps doing it and the owner says he wants the posts. It's a losing situation we are in. The owner has stopped the spam posting he was doing but bet it starts up once again. Doesn't matter cause this forum is toast. no way to make money off of this forum, not the money he wants to see. Thanks. Another brain fart I guess. Baloney. I think you should apologize to your former moderators. If not to me, then definitely to PeggieSue. She and I have had our differences but you were really cruel. Now, IF you only learned to take responsibility for your life, and the consequences of your actions, then this site could've been more successful. Baba Booey to you, Stern Fan. Another thing Admin started spamming the forum with posts from 2005 and 2006 before he says he noticed posts were missing. I was still a Mod and he was being very nice to me. Tom made a post saying he thought Admin was selling the forum and spamming to get traffic up. Admin went ballistic on Frank saying Frank had betrayed him. Not long after that he comes up with this wild story of a mole from Realscam deleted thousands of posts over a four year period. The mole was a Mod. Why haven't I gotten an answer to my question about the search for posts in a members profile. Is this lost search function what Admin is basing his suspicions on? Or is he telling a lie to cover all he is doing on the forum right now. Why won't he tell me what posts are lost. I call BS and he won't explain. If it's true that a Mod did delete thousands of posts I want to know who it was, it was on my watch and I want to know what posts are missing. When I was more active here, I don't recall a lot of posts being deleted. Of course I haven't been too active in the last year or so. It would be easy enough to go back and take a look but I don't know which members he's talking about losing posts.